The Action: The summer season saw the sale of several Beaconsfield residences. But this semi-detached Victorian was among few with modern modifications, so it banked a healthy number of showings and multiple offers. 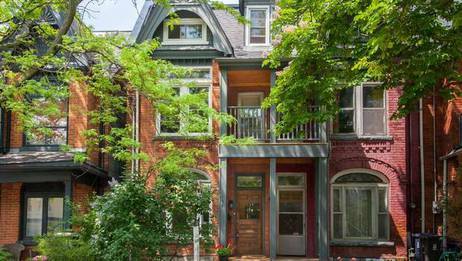 What They Got: This three-storey brick structure built circa 1890s combines traditional ceiling medallions, crown mouldings, stained glass windows and a gas fireplace in the living room, as well as an updated porch, mechanics and upper bathroom remodelled and enlarged by the sellers. The layout is classic with a dining area and an eat-in kitchen with stainless steel appliances, hardwood floors and access to a den with sliding doors to the patio and 15-by-86-foot lot, plus four upper bedrooms, including a second-floor master with a balcony. Below the main space of the 1,970-square-foot residence is a 760-square-foot basement suite with a rear entrance, bathroom, recreation area and eat-in kitchen. "It was much bigger than average, it had a good-sized third floor,"
says Ms. Kinnear, who sold a house half the size nearby. "It showed really nicely, more classic, but didnât feel old-fashioned." Half the street is without private parking, like this property, but itâs close to arts, music and food scenes on Queen and Ossington streets. "Itâs in a very cool pocket,"
"Itâs a great walk to super fantastic restaurant." As Cher says “If I could turn back time”	We’ve Been SNAP’d!